What is the SQUARE ENIX Support Center? The SQUARE ENIX Support Center (this site) is a centralized support site that provides product information and solutions to the frequently asked questions and issues with our products and services. This page will explain how to use the SQUARE ENIX Support Center. The SQUARE ENIX Support Center has specific sites with dedicated information about our game titles (referred to as "titles" below) and current services. We provide the following functions on the title specific sites to help you answer your questions. In "Latest News," the newest notices related to support will be listed. If you click on the title, you can view the details on that subject. * News announcements only provided when product specific news information is available. Some of our titles and services may not have new announcements. Displays a list of the top 5 recently or commonly viewed articles in the Knowledge Base. For support issues, it may be useful to review this section to quickly find answers to our most common support issues. This can be accessed via the icon on each title's specific site in the upper right hand corner. Up to date support information for titles and services, as well as technical information on platforms and network devices, is available in the Support Center Knowledge Base. Using the Knowledge Base, it is possible to find answers to your questions as well as receive advice on issues, so please feel free to make use of this resource. You will find a helpful Search box located in the menu on the left of the support page as well as on each search results page. If the Frequently Asked Questions or Knowledge Base articles are unable to offer you a solution to your issue, you can contact SQUARE ENIX for further assistance. Please follow the instructions below for contacting SQUARE ENIX. The SQUARE ENIX account is a free service that allows you to access all of SQUARE ENIX's online services. 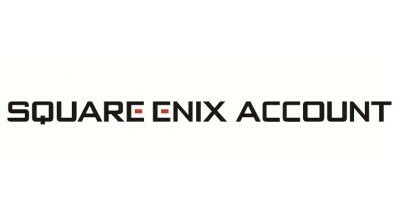 With a SQUARE ENIX account, you can associate multiple IDs from current services to a single SQUARE ENIX account and enjoy features only available to SQUARE ENIX account holders. Additionally, the SQUARE ENIX account will be required to access all of our future online services. To create your free SQUARE ENIX account, click here.